1.Suitable for camping,parties,banquets,birthday parties,concert,bars etc. 2.Press the button located on the centre of the coaster to active and change the light settings. 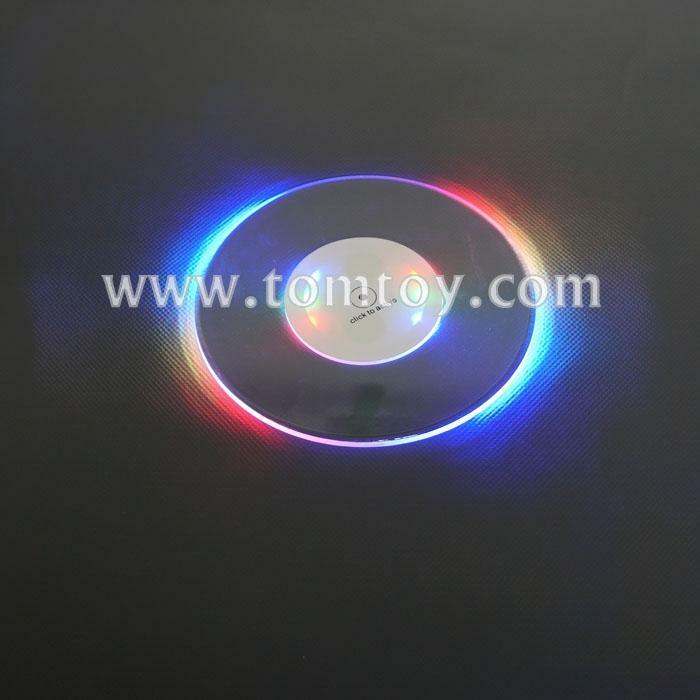 3.Light color:2 red,2 green,2 blue.Six flash mode. 4.2pcs battery included,battery can't be replaced after run out. 5.The centre is white,diameter is 6cm,the whole is 13cm.